I studied Microbiology at University Claude Bernard in Lyon (France) where I found myself to be attracted by the microorganism’s world. I discovered with interest their utility in our lives, in ecology, agronomy or for a medical and research purpose. After my Bachelor, I pursued with a two years Master degree in infectiology in University Paris Diderot. During my second year I chose Medical Mycology as a major and had the chance to work with the pathogenic yeast Cryptoccocus neoformans in Guilhem Janbon’s lab at the Pasteur institute. My thesis project was focused on potential use of histone deacetylase as antifungal against differents strains of C. neoformans. Thank to this experience I acquired great skills in molecular biology and yeast genetic. After my Master’s graduation I applied for the OPATHY program network and started in March 2016 in Geraldine Butler’s lab in Dublin (Ireland). My work is focused on the transcriptomic profile of Candida parapsilosis complex during the infection of human cells. The aim of this study is to find virulence factors induced during the different phases of the infection. To do so, I work in collaboration with two others ESR, João Pacheco in Dublin and Marina Pekmezovic in Jena (Germany). 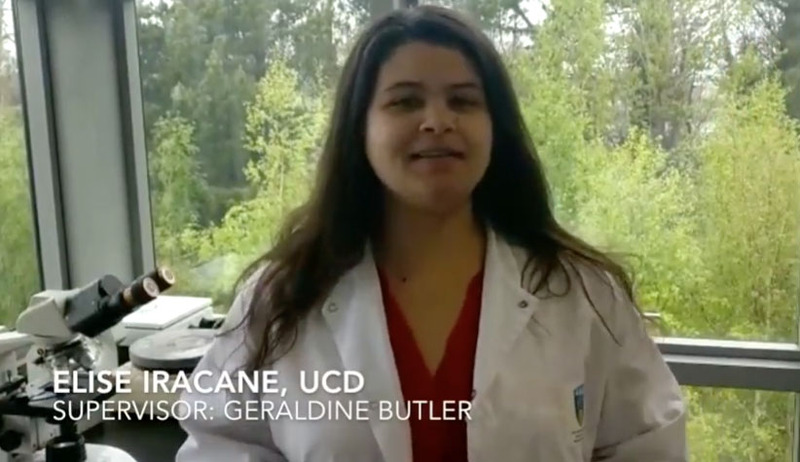 Have a look at here to see a short video of Elise at UCD.